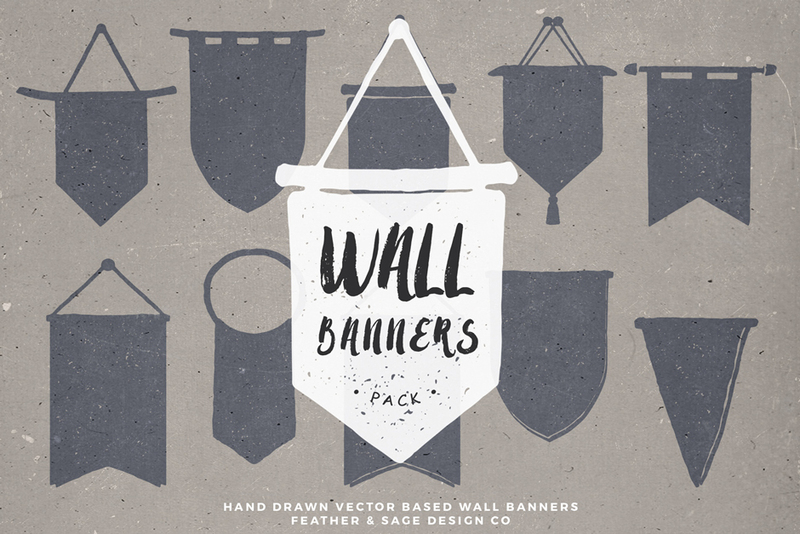 20 Vector Hand Drawn Wall Banners	By: Feather & Sage Design Co.
Hand Drawn Wall Banners. A set of hand drawn organic wall banners. Since I’m obsessed with interior design, and the current wall banner interior trend (including wall macromes, felt, and canvas) it served as inspiration for this banner graphic pack. Software compatibility: Adobe Photoshop and Illustrator CS2 and newer. .EPS files will work with a variety of programs such as Adobe Photoshop or Illustrator, Sketch, InkScape, Affinity, Corel Draw, etc. .PNG files will work with most graphic software. File size is approx 33.8MB (1.18GB unzipped), offered as a single download.